Merry Christmas and Happy Holidays from Steam at Harper’s Ferry! On August 30, 1899, a funeral was held for 8 of John Brown’s men who were killed or soon died after the October 1859 raid in Harper’s Ferry, in North Elba, New York. Two additional men who were killed by hanging in March 1860, were also memorialized during the funeral. Lewis Sheridan Leary, who was with John Brown during his infamous raid in Harper’s Ferry, was one of the men killed at the Ferry. Leary was born free in Fayetteville, North Carolina on March 17, 1835 and met John Brown in Cleveland. During the Brown party’s retreat across the Shenandoah River after the raid, Leary was shot and died several hours later from his wounds. Several weeks before the raid, John Brown sympathizers living in Philadelphia, sent great “blanket shawls” to the Kennedy farm as gifts. 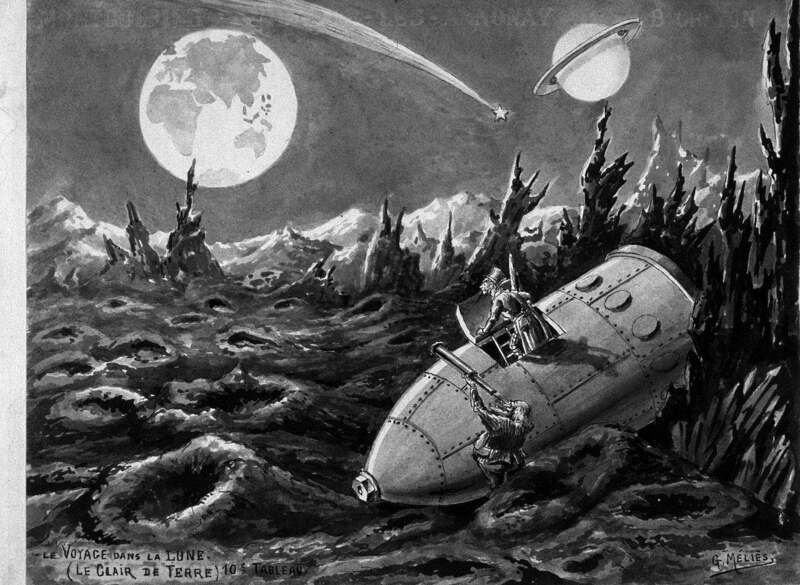 From The New England Magazine, March – August 1901. Ten of John Brown’s men were killed during the raid (Watson and Oliver Brown, William and Dauphin Thompson; Stewart Taylor; John Henry Kagi; Jeremiah G. Anderson; William H. Leeman; Dangerfield Newby and Lewis Sheridan Leary. Those who survived either escaped or were captured. Those captured were tried, convicted and executed in Charles Town. Two of John Brown’s men who were killed during the raid, Jerimiah Anderson and Watson Brown, were considered “fine anatomical specimens” and were sent to a Winchester, Virginia medical school for anatomical study. Watson Brown’s body was later recovered in 1881 and was buried next to his father in North Elba, NY. Anderson’s body was never recovered. The remaining eight bodies which were recovered from near the Potomac or Shenandoah rivers, were denied burial in any of the local Harpers Ferry cemeteries. 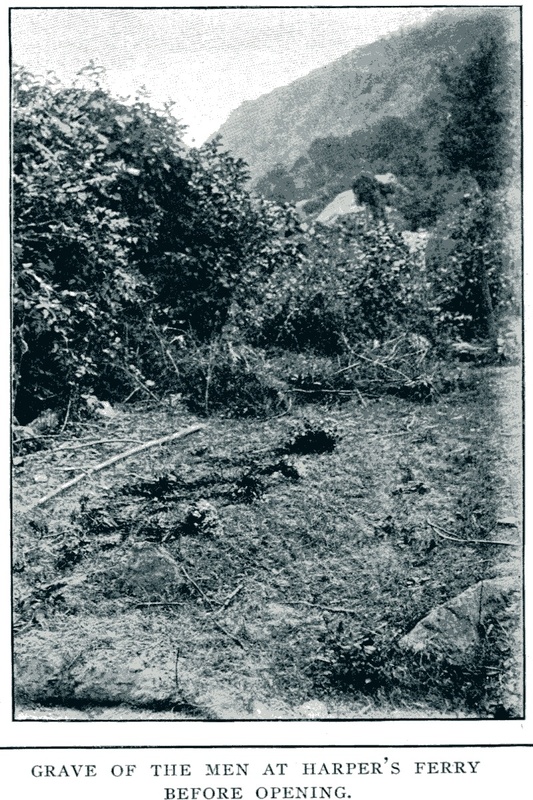 Soon after the raid, James Mansfield (who, at the time of a 1901 article in The New England magazine, still lived in Harpers Ferry) was given instructions to bury the bodies. 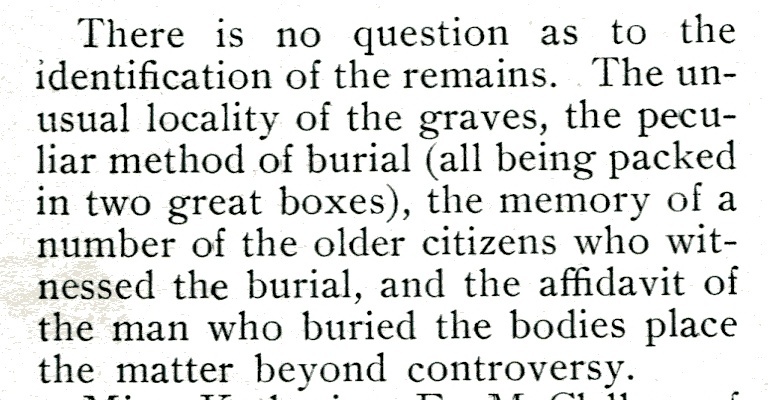 He bought two boxes and divided the bodies between them and ultimately buried them about .5 miles from Harpers Ferry along the Shenandoah river where they remained until 1899, when the two boxes were found and transported for burial at North Elba, NY. 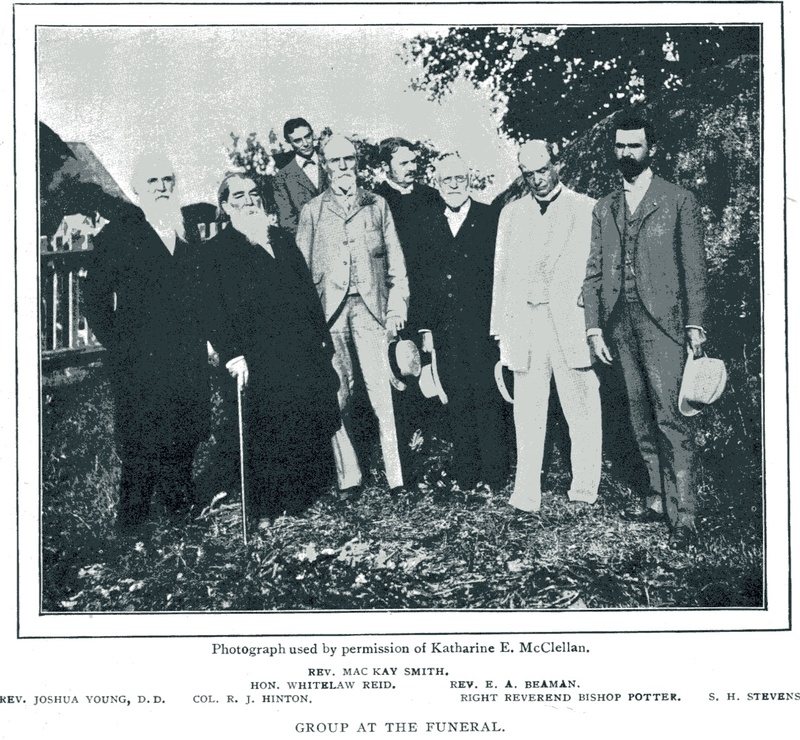 On August 30, 1899, there was a funeral held for John Brown’s men in North Elba. Leary was married to Mary Patterson, whom he met at Oberlin. Mary Patterson Leary later married Charles Henry Langston. They had a child named Caroline, who married James Nathaniel Hughes. They had a child, James Mercer Langston Hughes, known as Langston Hughes, in February 1902. In 2013, a book was published, entitled “My Dear Boy : Carrie Hughes’s Letters to Langston Hughes, 1926-1938” which reproduced dozens of letters by Carrie (Caroline) Mercer Langston Hughes Clark, mother of Langston Hughes. 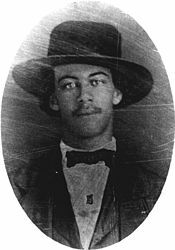 While Carrie was not the daughter of Sheridan Leary, Langston Hughes had a special attachment to the shawl worn by him during the raid. Langston Hughes lived with his grandmother, Leary’s widow, for several years and it was with this shawl that she covered him while he slept. According to the book, “Former president Teddy Roosevelt honored [Mary Leary] at a commemorative ceremony in Osawatomie, Kansas, where he delivered his re-nowned ‘New Nationalism’ speech, on August 31, 1910.” p. 45 FN 2. Langston inherited the shawl from his grandmother and he put it into a safe deposit box in New York City in 1928. In about 1930, Langston’s mother was in dire need of money and suggested that he sell the shawl. Say here in Cleveland Antiques are all the rage and I was just wondering if we could not sell the Harper’s Ferry Shawl? I almost know we could and it would give us all a few dollars. Do you know where it is or do you have a receipt or anything for it. A man told me here last week I ought to get $500.00 for it. I have been in some of the antique shops here and they have old rugs, spreads, quilts &ct. I don’t know just thought I’d ask about it. My Dear Boy, at p. 51. He didn’t sell it. On April 30, 1943, he donated the shawl to the Ohio Historical Society, where it remains. The original 1901 article, “The Final Burial of the Followers of John Brown” by Thomas Featherstonhaugh in The New England magazine, is available for purchase from Steam at Harper’s Ferry. Please inquire at info@steamatharpersferry.com. E. D. (Eber Dudley) Howe was the founder and editor of the Painesville Telegraph which was published and edited by him in Painesville, Ohio from 1822 to 1835. The paper continued its publication until 1987. While living in Painesville, his wife, sister and niece converted to Mormonism. Howe became interested in the religion’s history, which was founded by Joseph Smith, Jr. in the 1820s. His interest resulted in the 1834 publication of a book entitled “Mormonism Unvailed” (sic). Howe was an abolitionist and his home was used as a station for the Underground Railroad. His wife was one of the first women in the region to join the anti-slavery movement. Fort La Fayette was used for Confederate prisoners from 1861 – 1866. Promoting revolution and slavery in the nation’s capital circa 1823. These newspapers and others are available for purchase from Steam at Harper’s Ferry. Please contact us for prices and shipping fees. Steampunk World’s Fair 2014 – Steam at Harper’s Ferry Artists’ Work was there! 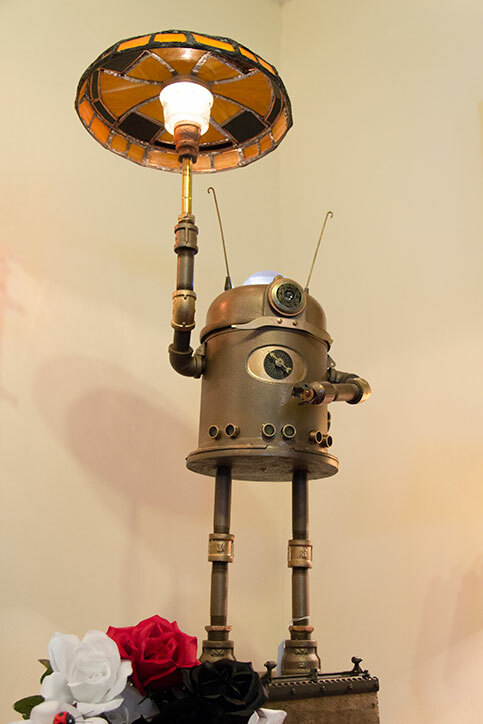 The Steampunk World’s Fair 2014 was an amazing event. Steam at Harper’s Ferry was very fortunate to participate in the first Steampunk Art Fair at the Steampunk World’s Fair along with other artists. 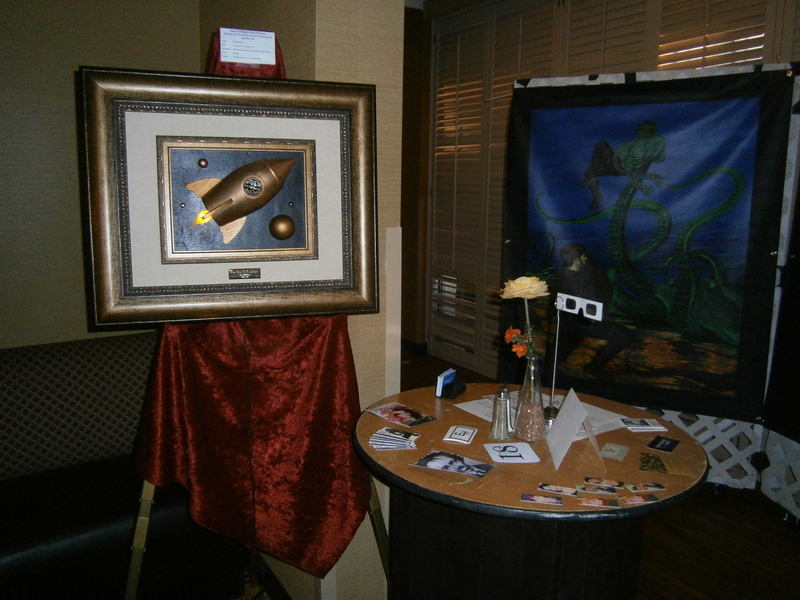 Eric Holstine, Leigh Anne Cassell and Jason Edwards all had work on display at the event. 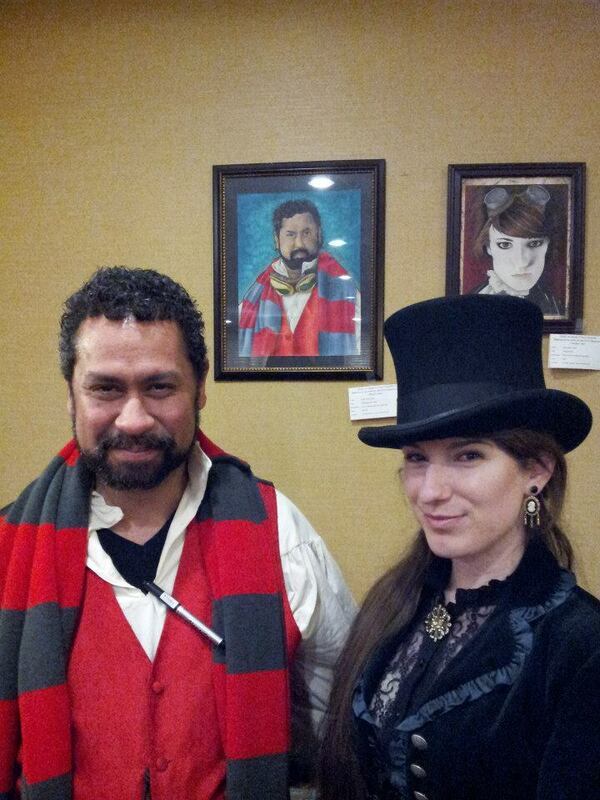 Here is Leigh Anne Cassell with Doc – as in Doc in her “Steampunk Dr. Who” illustration! Here’s hoping the organizers make this an annual event! Guide to Creating and Protecting Fictional Characters 2nd Edition Out Now! The “Guide to Creating and Protecting Fictional Characters” 2nd edition, was released at the Steampunk World’s Fair last weekend during a workshop entitled “Girl Genius(R) versus Sherlock Holmes: Character Development and the Law.” It is now available in Kindle format! Mysteries – Solved! Eric Holstine’s Solo Exhibit through May 25! There were a few pieces that Eric Holstine didn’t disclose prior to the exhibit opening day – but were well worth the wait! 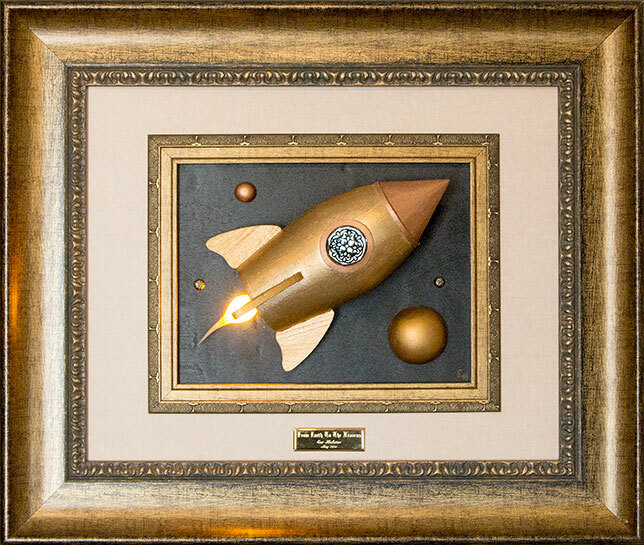 The second was his Steampunk Time Machine version 2. Here is Eric’s exhibit – featured in our new video! Music composed and performed by Garrett Boone a/k/a STAR☆DRIVER. This excellent video was put together by Jason Edwards Steam at Harper’s Ferry Resident Artist. Steam at Harper’s Ferry is pleased to present Eric Holstine’s first solo exhibit at Steam entitled “(EH=MC2): The Art of Electrodynamic Illumination” through May 25, 2014. Eric was born and raised in Charleston, West Virginia. 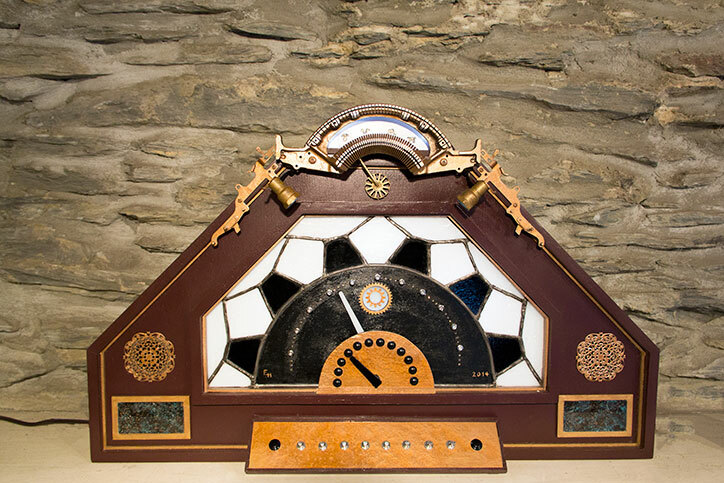 His works include “Melton the Mechanical Marvel” and the “Steampunk Time Machine.” His multi-media art incorporates stained glass, brass fixtures, and robotic elements. 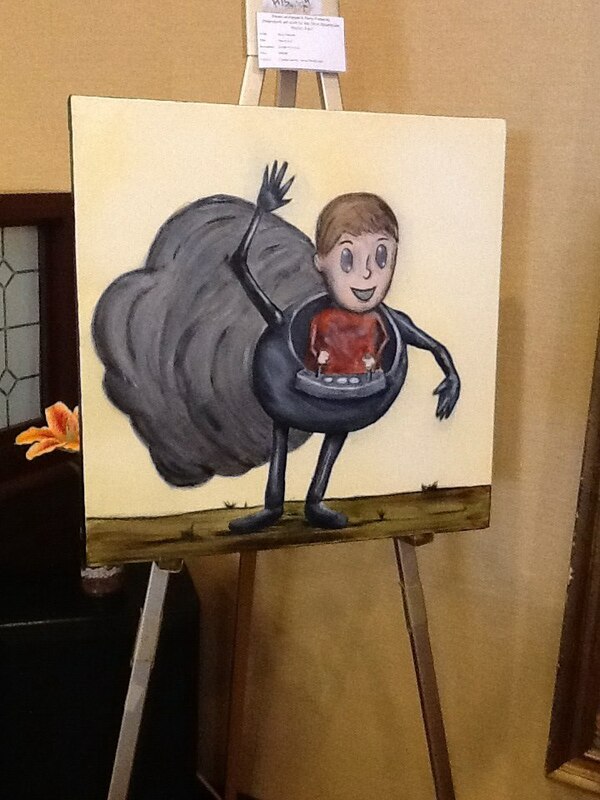 For the opening celebration, we were treated, not only to Eric’s art, but musical accompaniment (with Game Boys, no less!) by Garrett Boone, a/k/a STAR☆DRIVER. Don’t miss this exhibit! These are bonafide one of a kind pieces that are guaranteed to delight! It is not every day that you will see a robot carrying his own stained glass umbrella. 3rd Annual Bolivar-Harper’s Ferry Community Art Walk – April 26 and 27, 2014 – Thank you! Thank you everyone for attending the 3rd Annual Bolivar-Harper’s Ferry Community Art Walk! The weather was perfect and we had some wonderful performances on the Pavilion. Thank you Bolivar/Harpers Ferry Public Library, The Corporation of Harpers Ferry and the Arts and Humanities Alliance for Jefferson County! We have the new book by Terry Pratchett, “Raising Steam,” and have a new collection of Toulouse Lautrec prints – just the right size for your home or office. Two “Lady Mechanika” signed posters are for sale and on display – so come by and check those out. 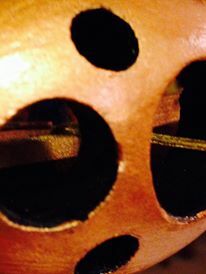 Look for Steam at Harper’s Ferry owner, Cynthia Gayton, at the Steampunk World’s Fair in a few weeks. Steam at Harper’s Ferry will also be at the Strasburg Rail Road Steampunk unLimited event in September for the second year in a row! We have just a few more prints of Leigh Anne Cassell’s work here at the gallery, as well as three original illustrations which are on display. Hope to see you soon!